The White Mountains of New Hampshire are the headwaters of the Connecticut, Merrimack, Saco, and Androscoggin Rivers. 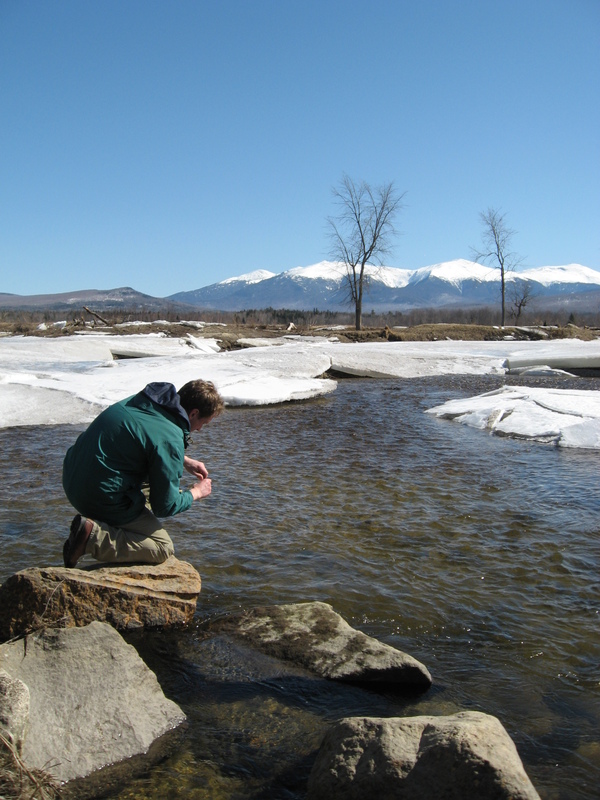 The Center for the Environment is involved with several research projects related to understanding the hydrology of the region. Associate professor Mark Green leads this work. A primary interest is understanding how water transport controls biogeochemical and ecological processes, and vice versa. Research in this area includes a series of analyses focused on synthesizing and advancing our understanding of how hydrologic functions recover after forest disturbance. A primary research site for this work is the Hubbard Brook Experimental Forest. Work in this arena is primarily funded by the Northern Research Station of the U.S. Forest Service; other funding comes from the U.S. National Science Foundation, the Japanese-U.S. Education Commission, and the White Mountain National Forest.